We feed them, provide them shelter and give our love to them. But do you ever wonder if your dog really loves you? Yes there are days that I do wonder. But at the same time, I think of all the things we do together. She is a Shih Tzu and can definitely have a stubborn streak at times, but she never lets me down. She is always there for me when I need her… and there are times that I need her and I don’t even know it, but she does. It’s those times that I know her love is shinning through. She is my partner in crime… she is my rock. I definitely know the love of a Shih Tzu. We are hope everyone is having a great week. Our week at Oh My Shih Tzu is filled with a lot of action. From lure coursing to agility to barn hunt we are on the move. We are keeping it short today as we are participating once again in Wordless Wednesday hosted by BlogPaws, though we never keep it wordless. 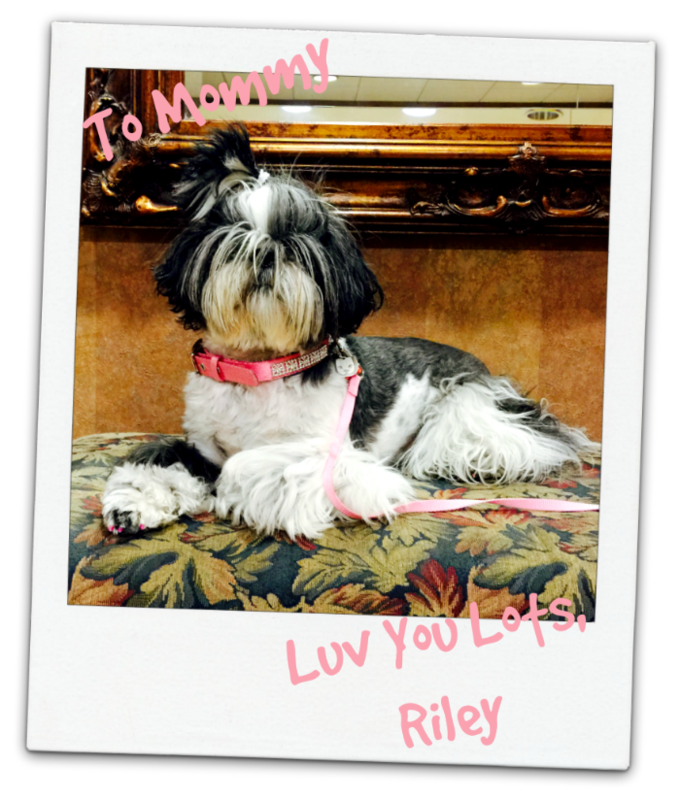 « Shih Tzu Travel: Where in the World is Riley? What a sweet post! Feel the same way to be loved by my three rescued furry friends. I am blessed beyond measure to have Oodles of Doodle Love. We love our Mom! That’s what dog do! I’m sure Riley loves you. Think of her stubbornness as a tribute to how confident you make her feel. Ha! I love my Ma and Daddy-dog to the moon and back and I am sure Riley loves you the same way! And oh, just look at that cute face! It’s no wonder you love Riley so much. What a sweetheart. I definitely love my mom, and there’s no doubt that you love yours as well! I love my mom too. Moms are the very bestest! Have a day with lots of snuggles!